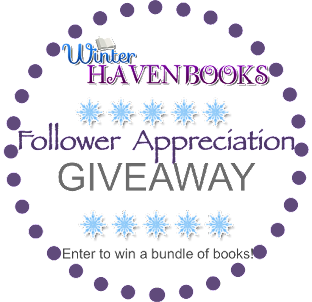 WinterHaven Books: Top Ten Tuesday! 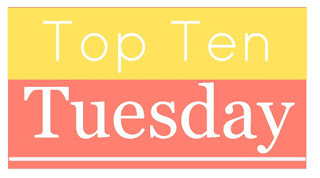 I have to say my blog partners and I are really loving this Top Ten Tuesday business! Here's our answers to this weeks question! 1. Finish a complete series despite publication gaps. I tend to not follow up on some series if the time between the books is too lengthy and I have moved on to something new or don't want to take the time to refresh and remember what happened in the previous books. This isn't always the case, but it happens now and then. 2. Another bookish habit that drives me bonkers is when I have a partial series on my shelf (especially series I absolutely love or must have)! I'll buy the ebook or read/review the ARC and tell myself I'll pick up a copy on my next bookstore trip. I do mist of the time, but those incomplete series on the shelves have a way of making themselves acknowledged! 1. Continuing to read a book that doesn't hold my interest. I have a hard time DNF'ing books, which often gets me into book slumps. I need to learn to give up on bad books more easily. 2. Keeping my eye on the page number. I need to stop doing that because it messes up my flow of the story in my head for no good reason. I have so many habits that its hard to chose just two! I think these two are the ones I really want to quit..
1. I really need to stop reading a book that I know isn't going to work for me. I'm like Arlene I will finish a book no matter what and that's just a waste of time. I could be reading something amazing, but instead I'm slogging through something that like Arlene said will put me in a slump. 2. This one sort of coincides with my number one pick..finishing a series. It's so hard for me to let go of a series and I just have to finish them all. I have a hard time picking up the final book in a series true, but I still have to have every book and read every book because in my brain the series might get better and I don't want to miss out! 1. Spending way too much time on Goodreads every single time I need to decide what to read next - this probably takes like an hour away from potential reading time. 2. Buying books on clearance that I know I probably won't read in the near future just because they are cheap. 1. I confess, I'm a flipper. 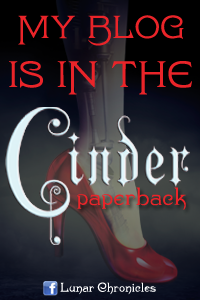 I flip to the back of the book to make sure some of my characters are still alive. Must break that. 2. I also need to break the habit of buying complete series before even reading the first book. I have to say after reading my blog partners habits I saw plenty I can relate to and one I can't believe! TINA! You can't flip to the back lol!!!!!!! What am I going to do with her lol?!? That's our bad habits! Leave me a link so I can see yours! I usually read about 50-100 pages before deciding whether or not I should move onto the next book. Sometimes if things go downhill when I'm about 90% of the book I'll abandon it. Great list! I started doing the same thing about book buying, and it made My TTT list this week too! I definitely need to get better at DNF'ing, I find it so hard to put down a book, even if I'm not enjoying it!